Fabric is one of the most common merchandise in international business. 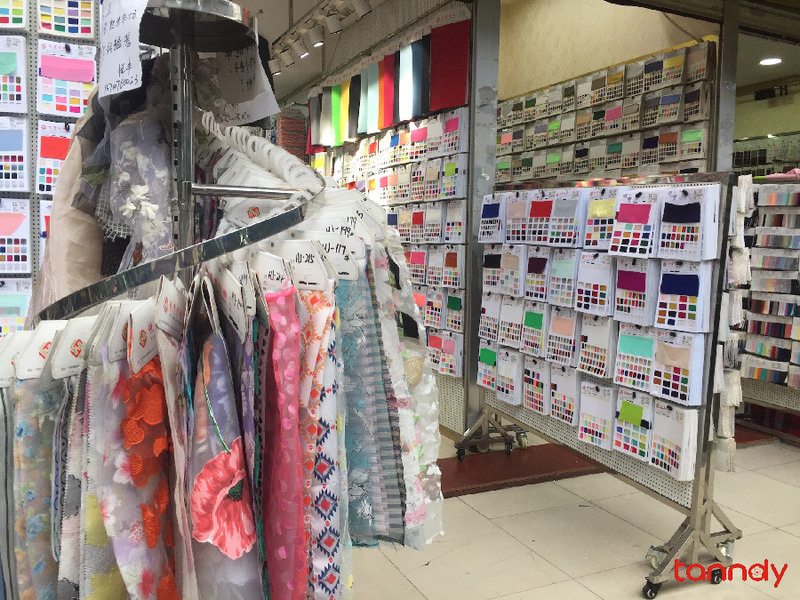 If you are going to buy fabrics in Guangzhou, here are twelve points you should focus on. After reading this article, you will learn more about Chinese fabric market. Guangzhou is a city with a lot of large fabric markets, such as Guangzhou International Textile and Accessory City, Guangzhou Changjiang Fabrics & Accessories Center, and Pearl River International Textile City. You can find a variety of fabrics here, including knit, woven, polyester, chiffon, wool fabric. If you are going to buy fabrics in Guangzhou, here are 12 points you should focus. 1.What's the price of fabrics for bulk production? You need to distinguish the different prices between bulk production and retail. The price for bulk production will be cheaper. So you should inquire the corresponding price based on your own need. 2.Will there be any loss in fabric? The loss depends on the kind of fabric. Different suppliers apply different machines to roll, so they have different loss. It is suggested that you should ask the supplier will there be any loss in the fabric and how much. 3.If the quotation's charge unit is one meter? To be honest, It will be more expansive to charge in every one meter. And few suppliers can do it. Most suppliers quote the fabrics’s price not by every one meter. 4.Can I have a sample of the fabric? Most suppliers can provide you the sample, but some would refuse. For example, some suppliers are reluctant to give the sample of their new-developed products and patterns if we do not have done large order with them. Because they need to improve the competitiveness of their new products. 5.What's the price for sample fabrics? Generally, the price for woven fabric sample will be more expensive, about 10~15 RMB/m higher than the price for bulk production. 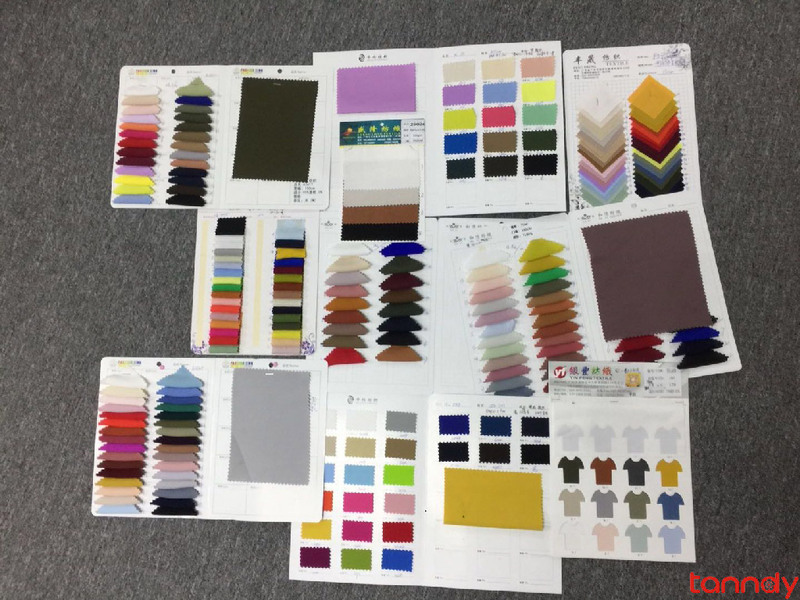 And knit fabric sample will be 20~30 RMB/m higher than the price for bulk production. 6.What patterns can I customize? Some patterns can be customized and the the minimum quantity of an order for some customized patterns is 3000~5000m. Not all kinds of patterns can be customized. 7.What is the minimum quantity of an order for fabrics? It depends on whether the suppliers have stock on hand. If they have, one roll can be the minimum quantity; but if they have not, ten rolls usually is the minimum because the suppliers need to reproduce. 8.Can I customize certain pattern with other base fabric? If you want to replace the base fabric and use its original pattern, the technology should be considered first. And the order amount is limited. Different fabrics are made by different composition, and their textures are various. Some products have not indicate the composition on their color standard, so you need to inquire. 10.How heavy is a roll of fabric? Some knit fabrics are calculated in kilograms and each kilogram contains certain meter. So you need to know how many kilograms a roll of fabric has, then you know how many meters it has. 11. What is the weight of fabrics? Weight is a size of fabrics. It is affected by fabrics’ thickness. So you need to figure out what thickness do you want and then choose the one suitable for you. 12.Is there any other weights? If you like a fabric, but you want it to be thinner or thicker, you can ask the supplier is there any other weights. Our company is located in Guangzhou, not far away from the Guangzhou International Textile and Accessory City. We provide overseas customers with fabric sourcing & buying service. If you need it, please feel free to contact us and we are happy to help you. How do we help client buying fabric in Guangzhou? I’d like to enquire about the costs for you to source me some fabric based on some sample garments that I will provide. I am in the early stages of starting a clothing business but the garment manufacturers I am working with have not been able to find the fabric that I want. Could you please tell me what it would cost for you to visit the fabric markets and send me some swatches of fabric?